Tarr Talk: Who's gone to the Super Bowl the most? It's the Hazen Paper Company in Holyoke. This Paper City company has created the holographic cover for the Super Bowl Stadium Edition game program book every year since 2004. My colleague Senator Don Humason represents Holyoke - today he very kindly presented me with a copy of the publication. 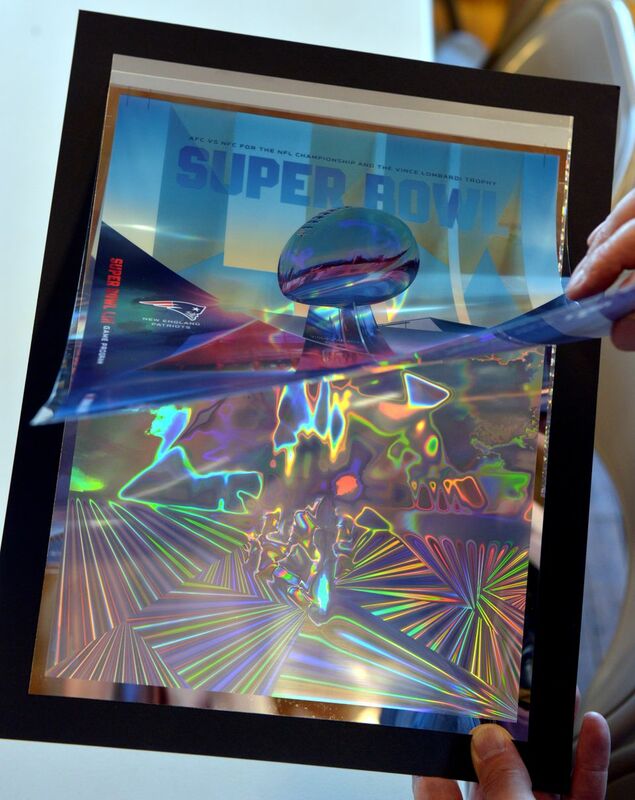 Hazen's holographic foil technology is recyclable but... we're going to display it proudly. Thank you Senator and go Pats!